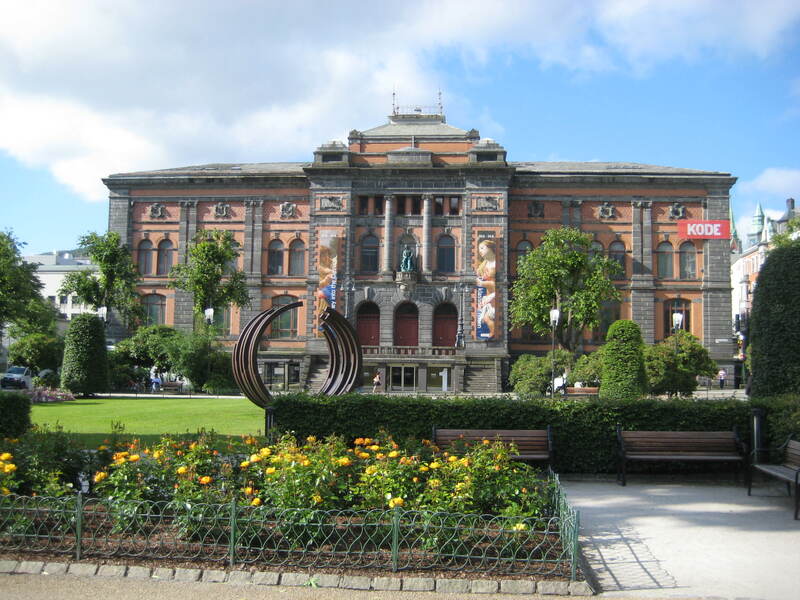 Located on Norway’s southwest coast, Bergen has the country’s largest port and is its second largest city at about 250,000 people. The city rose to prominence in the 12th century due to its dried cod trade. 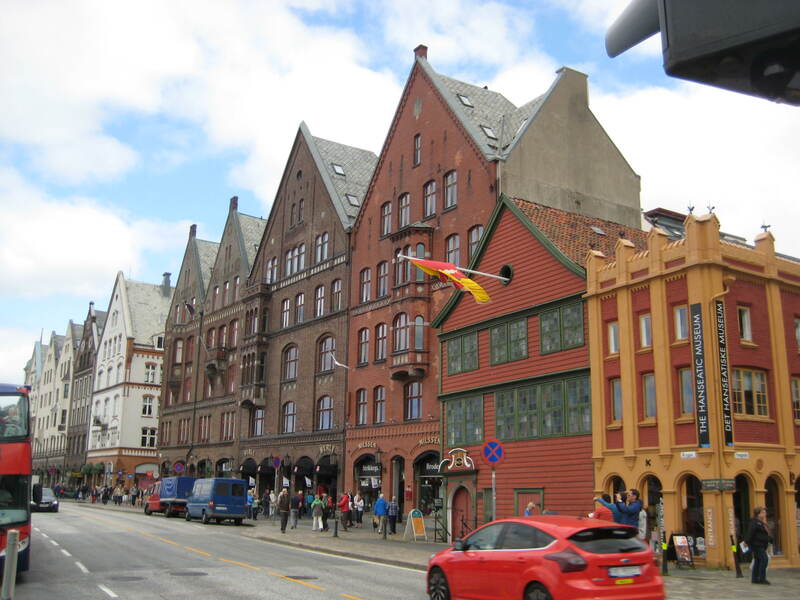 The city of Bergen is often called the city of seven mountains as many mountains surround it. The mountains create a unique climate keeping it warmer than one might expect but also has more than 90 inches of rainfall a year. The weather on this day was sunny and warm, which was wonderful. The city is very beautiful with a variety of architecture dating back to the 12th century. 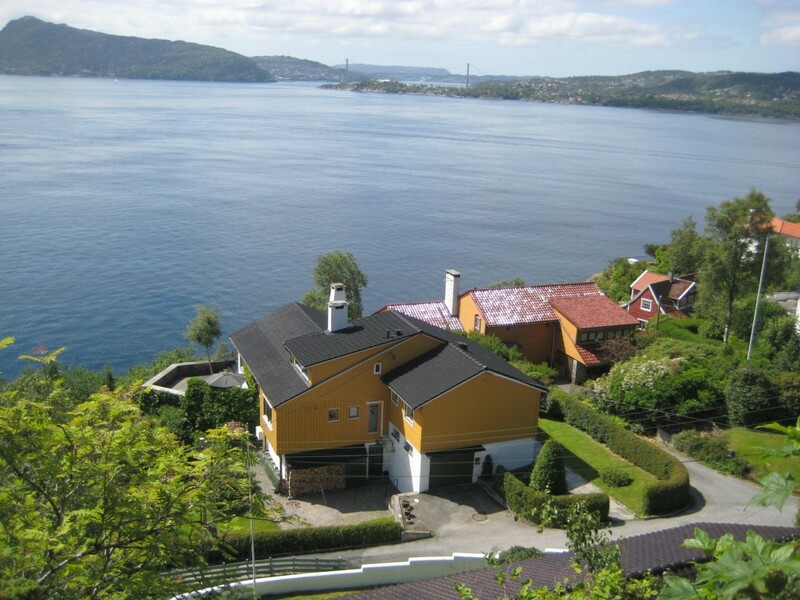 There is a well-preserved castle, the Brergenhus Fortress, a contemporary arts center, an aquarium, a fish market, a maritime museum and a funicular that takes you up 1,000 feet above the city. In the morning we explored town on our own. We walked all over the city center exploring the unique architecture, the lake, the beautifully landscaped pedestrian streets, the fish market and local shops. In the afternoon we took a two-hour panoramic city tour where we saw many of the important sights around the city. It was a short day in port with the ship sailing at 4:00pm, but the sailing out of Bergen through the fjord was stunning. We saw thousands of small islands and inlets where colorful homes large and small dotted the shorelines. One of the spa gals, Maja, from Croatia is a fun-loving spirit and Kent connected with her immediately. He found a lovely troll for her and encouraged her to contact us when she gets to San Diego. Kent keeps giving our contact info out to lots of entertainers and crew in hopes of seeing them in San Diego. The evenings entertainment was the Ryndam singers and dancers show called “Droom” which we had seen a couple of weeks ago. Since we hate to miss a show we saw it again. This entry was posted in London - Norway 2014 by markcujak. Bookmark the permalink.